Will The Price of Coffee Skyrocket When It Becomes A Glaucoma Drug? Only time will tell if “Big Coffee” will hike the price of a cup of coffee into the stratosphere. A recent study by Cornell published in the Journal of Agricultural and Food Chemistry showed the benefits of coffee in mice with glaucoma. 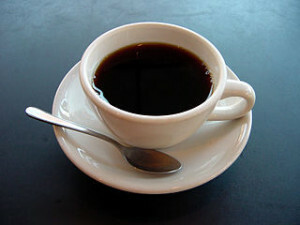 Raw coffee contains 7 to 9 percent chlorogenic acid. Chlorogenic acid is a strong antioxidant that protects the retinal layer of the eyes in mice from free radical damage. Next stop, a clinical trial at Starbucks. Any Volunteers? If you visit our optometrist office in Fort Collins we will even give a “free first treatment” of coffee!